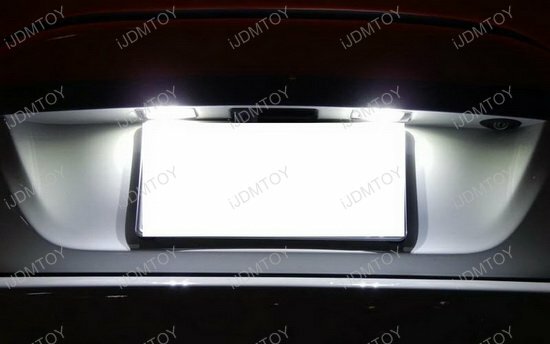 Q: Why do the direct fit LED license plate lamps cost more than LED replacement bulbs? 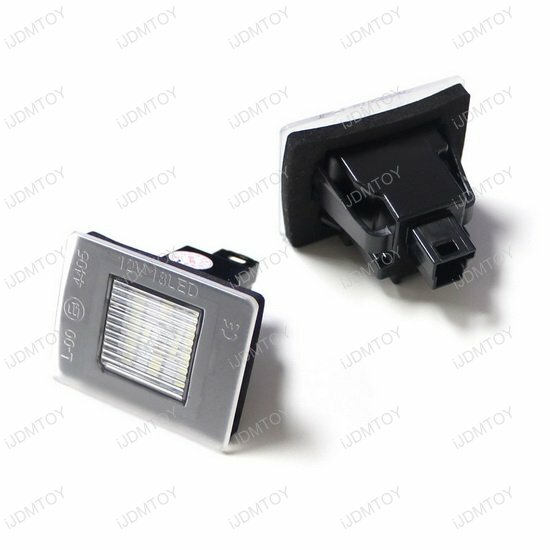 Q: What OEM part number do these xenon white LED license lights replace? 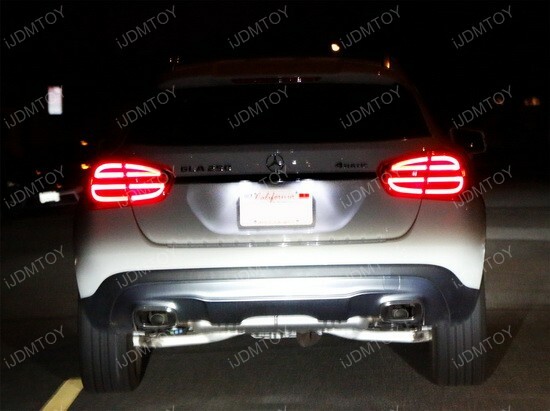 A: The Mercedes-Benz license plate lamps replace OEM part #A0009062903 and A1729061100. 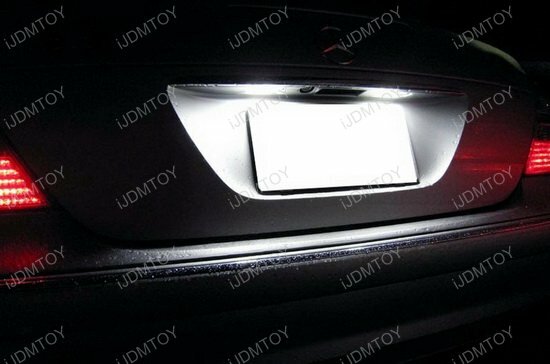 A: There is no modification required, just pop off the stock license plate lamps and replace with the LED. 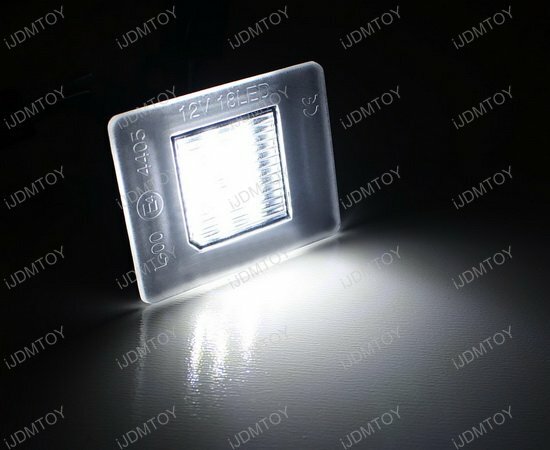 Q: What is the built-in CAN-bus controller used for? 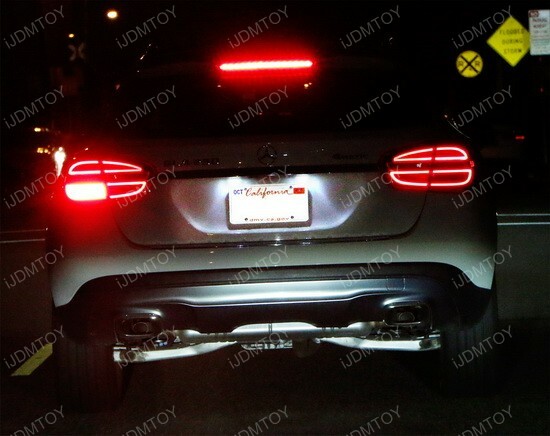 A: There is a pair of CANbus controllers that is built into the LED license plate lights to prevent bulb-out error messages from popping up in your dashboard computer. 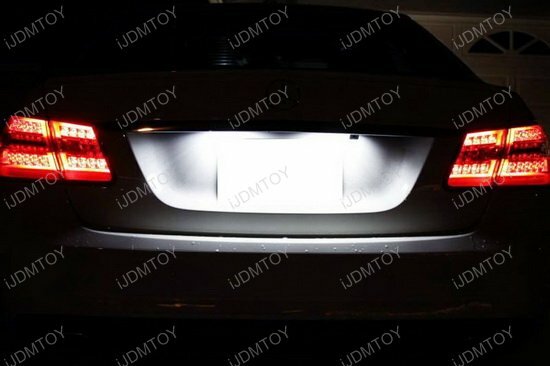 Because LED lighting consumes less energy, your car may not detect that your license lamps are working, even though they actually are. 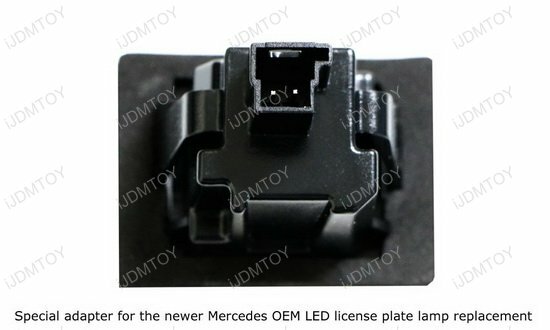 Using the CANbus controllers will equalize the voltage given off so your dashboard computer doesn't display the error message. 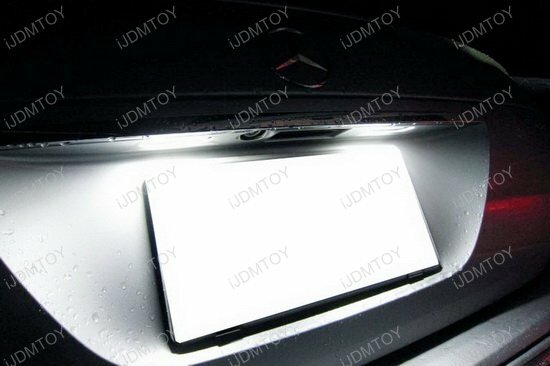 If you want your rear license plate to be much more brighter and noticeable, you'll want to get the xenon white 3W rear LED license lamps for your Mercedes! 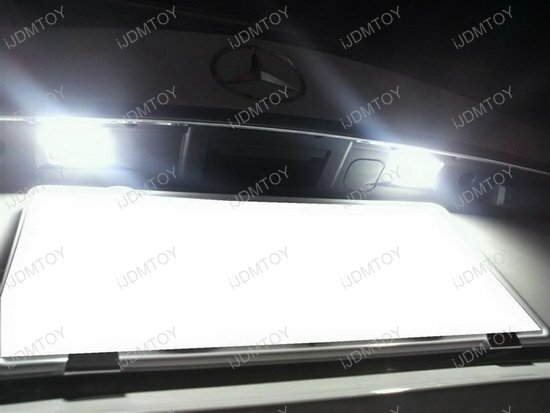 The dual LED license light assembly is powered by 18 pieces of high powered SMD LED diodes each which makes for a high light output. 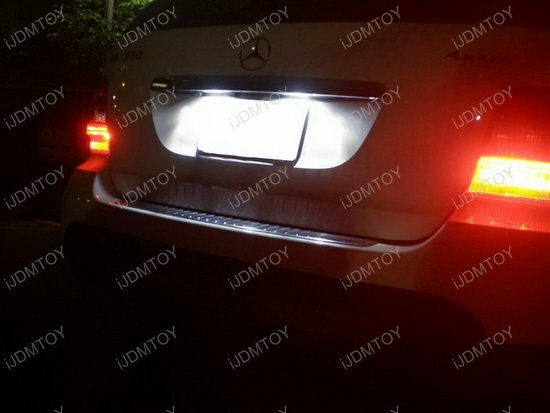 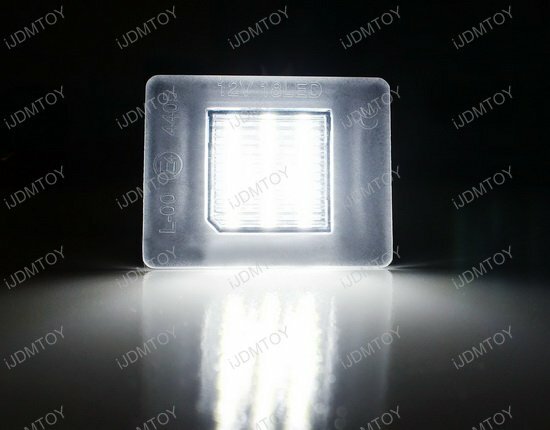 Installation is a simple plug-and-play action; take out your stock single LED license plate lamp lens (OEM part# A0009062903 A1729061100) and directly replace it with our xenon white LED license lamp for three times the brightness! 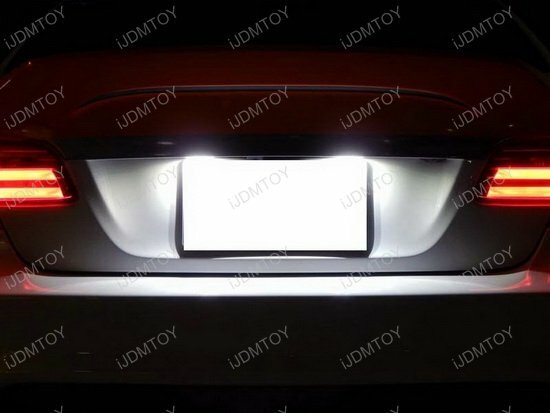 With its built-in CAN-bus controller, this LED license plate light set will not cause any error messages or bulb-out warnings to pop up on your onboard computer. 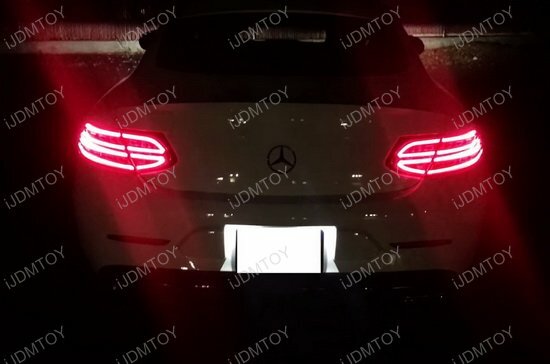 After installation, your Mercedes-Benz's rear license plate will be fully illuminated and the entire rear end will look more luxurious!